We are introducing our cummerbund rigid insert set. The rigid inserts can be inserted into our cummerbund. 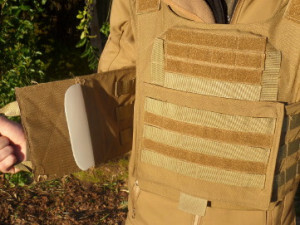 The cummerbund rigid inserts reduce the twisting or tangling of the cummerbund to help reduce the time and make it easier to put on a plate carrier or body armor carrier. The cummerbund rigid inserts better support the weight of magazines and side plate armor.